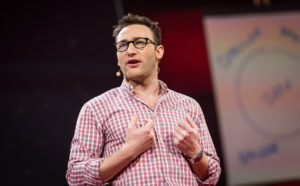 I saw Simon Sinek speak last week and one of the topics was the idea of a culture of vulnerability at work. The idea is if people feel safe in the work place such that they can say, “I’m lost”, or “I’m confused”, or “I made a mistake” and NOT risk getting fired for it, what would then be possible? How much more would they love their job? How much more would they give? How much more fulfillment would they have? I went NUMB in the middle of that because I realized that I didn’t have a culture of vulnerability in my home, not in the one growing up, and not in the one I shared with my soon to be ex-husband and 10 year old daughter. So I am out to correct that. The first step is noticing. The second is creating a plan for a new way of being and a new outcome. The third is implementation. It may require an apology. It may require an explanation. For my daughter, this is just how it is. It wouldn’t occur to her that it be any other way. But I know that it doesn’t feel good. She has a tendency to sometimes fib and hide things which I always thought was her issue. Clearly it’s not – it’s mine. My words say that she can tell me anything. My actions speak differently. In my work I help women be happy, brave, fulfilled and free. At home I have been inadvertently crushing my own girl’s spirit. What’s possible now is a new culture for us, of freedom and forgiveness, a space where my girl can grow up already being happy, brave, fulfilled and free. Her life just got so much bigger. What’s the culture in your home? i love puzzles, do you?